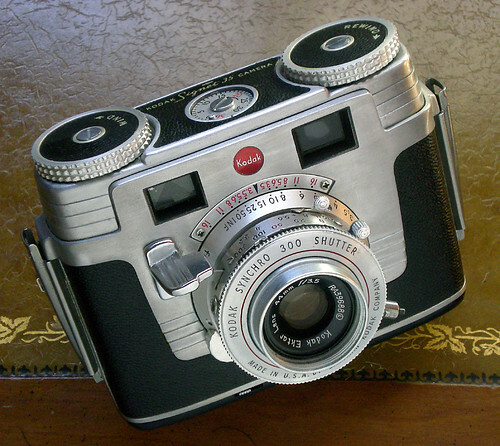 A popular, easily found Kodak model that's quite satisfying to use. This camera is very compactly built, considering the post-war era in which it was made. Cast metal body parts, along with heavy machined components leaves you with a solid impression of the instrument. Until you use the shutter. While this one still works, it's a flimsy, cheap type of shutter that Kodak made in the millions. Then again, hey, it still works over 50 years later.